Lafayette, Baltimore & Ohio Railroad Museum, Baltimore, Maryland, August 1979. Replica of the 4-2-0 built in 1837 by Norris of Philadelphia. 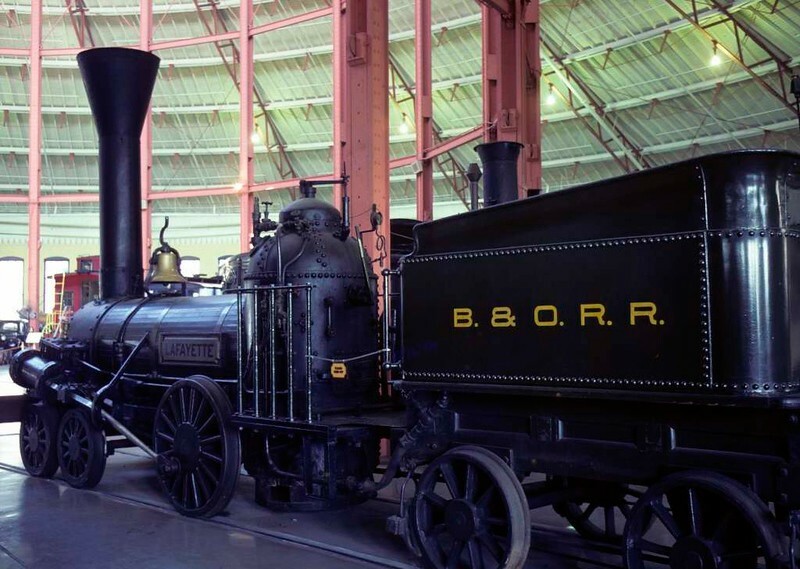 This was the first B & O loco with a horizontal boiler. Photo by Les Tindall.